Thank-you to the following sponsors for their ongoing support. Sykes Cottages are the UK's leading independent holiday cottage rental agency. We believe that your four legged friends should be able to come on holiday with you too so we offer a wide selection of cottages that are happy to accept at least one pet. There is nothing worse than having to leave your beloved family dog at the kennels and with Sykes Pet Friendly Cottages you don't have to. All of our cottages are personally selected to ensure that they provide the best quality holiday accommodation for you, your family and your pets. We are the chosen charity of the two Pets at Home in Huddersfield - and we are hugely grateful for their continued support and fundraising. 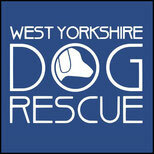 Thank-you so much to Pets at Home for recently raising over £2000 for West Yorkshire Dog Rescue. We are always interested in working with a range of companies. Perhaps you could make a regular donation, or hold an event to raise funds. Or perhaps you have an other idea of how you can work with us. A big thank-you for the recent donation from Wayfair. They have some excellent pet products, you can check them out here. Thank-you to Frank and Jelly's for their support of our rescue. If you don't know who they are why not check out their Facebook page. When we rescue a dog the vet bills range from £150 up to £500 plus. We can only rescue dogs when we have funds to pay our vet bills and these bills amounted to nearly £40,000 last year. If you would like to help towards the these costs and help West Yorkshire Dog Rescue save more dogs then please click on the donate button and donate what you can. Are you a company that loves dogs? Then why not sponsor one (or several) dogs, and appear on this page. We will also tweet about you to our 20,000 Twitter followers and 16,000 fans on Facebook. Pawshake is a trusted community of animal lovers and pet owners alike. We provide the platform for pet owners and pet sitters to meet one another and share daily updates of their furry friends! We offer 'home from home' boarding, doggie day care, dog walking and house sitting. No need for kennels! We don't just cater for dogs. Our pet sitters look after cats also and offer 'small home boarding' for smaller pets and more exotic creatures if needed. Being a member of Pawshake means that both the pet sitter and the pet owner are covered by our FREE liability insurance. Have peace of mind when you book your next holiday that your pet will be well looked after in a loving family home or, alternatively, have the convenience of being looked after in their own home. We have lots of lovely Pawshakers in your area ready to give your furry friend plenty of love and cuddles! It's FREE to sign up. Just type in your post code and find pawsome pet sitters in an area near you! Thank-you to Pawshake for sponsoring the vet bill costs of a day.